Manufacturer of specialized trailers and containers. Food trailer – kitchen on the wheels. Our most stylish and eye catching products. Food trailers built with attention to details. Available in various sizes and colours. Fully customizable according to client’s requirements. Underground home garage in the sea container. Make no compromises on your car safety. Subterranean garage quickly conceals your car. Great protection against theft as well as various weather conditions. Solar container – mobile solar power. First in the world solar container with hydraulic unfolding system. Provides electricity in the most remote locations. Based on 20’’ container. 360° rotation enables maximum power efficiency. Popup container – mobile restaurant. Impress your customers. Unusual restaurant emerging out of a container, will certainly drive your sales. Office container – movable office. Your office wherever you need it. Fast production and multiple applications. Great alternative for traditional constructions. Selfload platform – easy loading. Helps unload your goods in confined space. Can be fully customized according to your needs. Home container – from 40′ container. Modular home available in number of configurations. Durable construction meant to last for years. Easy construction. MOVEit company is a part of a manufacturer of mobile LED screens – Screen-LED operating in Inowrocław, Poland. Our mission is to provide hi-tech mobile solutions in areas such as energy, trade, and transport. Long-standing experience allows us to bring your most unusual ideas to life. Throughout the years we fulfilled numerous challenging orders. Many satisfied customers all around the world. For the reason that we ship products even to the most remote locations. MOVEit.tech – how it started. We are a company that provides high quality mobile solutions in areas such as: energy, trade and transport. We began operation in 2016. MOVEit is part of a Screen-LED group operating in Inowrocław. Over the years we’ve gained significant experience in designing and building mobile solutions for the AV industry. Previously we have been focused on mobile LED screens. Later we decided to expand our activity. This is how MOVEit has started. We deliver our products worldwide. Our current offer consist mainly of food trailers , pop-up , office , home and garage containers. We are also working on first in the world solar container. Solutions for food industry are currently main area of operation. 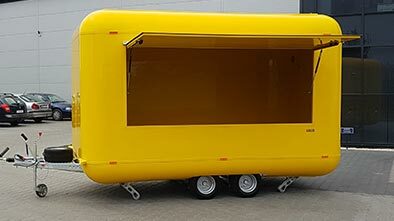 Our food trailers are well known for unusual design and high built quality. We offer our units in variety of sizes and colours. All trailers are made to order so you can be sure that, what you get is exactly what you need. Solar energy is major renewable energy source. It can be beneficial for both, users and environment. Recently we decided to expand into this area. One of our projects is aforementioned solar container. 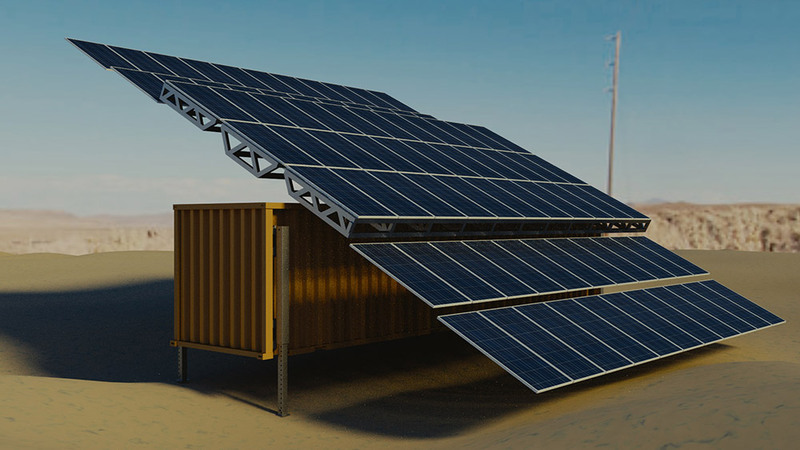 It is a mobile solar power plant based on shipping container. Photovoltaic panels mounted on a subframe allows for efficient energy harvesting. Tracking system constantly monitors the sun to make sure that panels are always facing the sun. 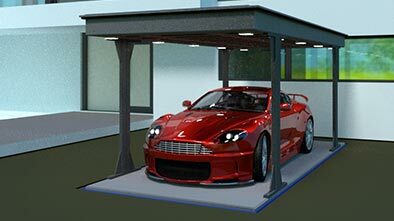 Another innovative product in our portfolio is underground garage based on a container. It will feature hydraulic lifting system. Therefore it will give ability to park your car underground and thus save space.